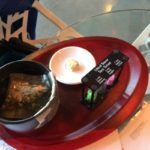 I’ve really enjoyed organizing and participating in the Tea Swap the past couple months. The past two months I got some great treats from Nattie and Brianna. 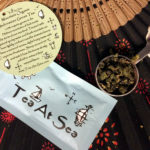 Nattie’s package came from across the pond and I was introduced to different tea companies and tea types (Chili Garlic Rooibos?!). Brianna sent me on an iced tea kick and now I always have a pitcher full of the stuff in my fridge. It’s amazing how the same tea can taste totally different when brewed hot versus cold. 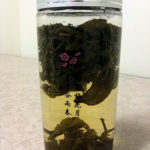 MojiTea – Bluebird Tea Co.
Terry’s Tea – Bluebird Tea Co.
Coffee Pu’erh – Bluebird Tea Co.
Birthday Cake – Bluebird Tea Co. 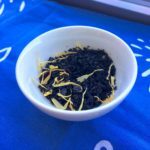 Dark Chocolate Chili Chai – Bluebird Tea Co. Hot Mama Jama – Bluebird Tea Co.
Mint Choc. 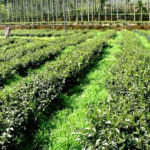 Rooibos – Bluebird Tea Co. 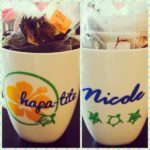 If you want to get in on the next tea swap or share one that you participated in, head on over to the tea swap page!